The new and updated Babydan Danchair is made from luxurious rubberwood, making the item incredibly durable and highly prestigious. The Danchair is designed with extra-long feet to provide exceptional stability for the most animated of ankle-biters. 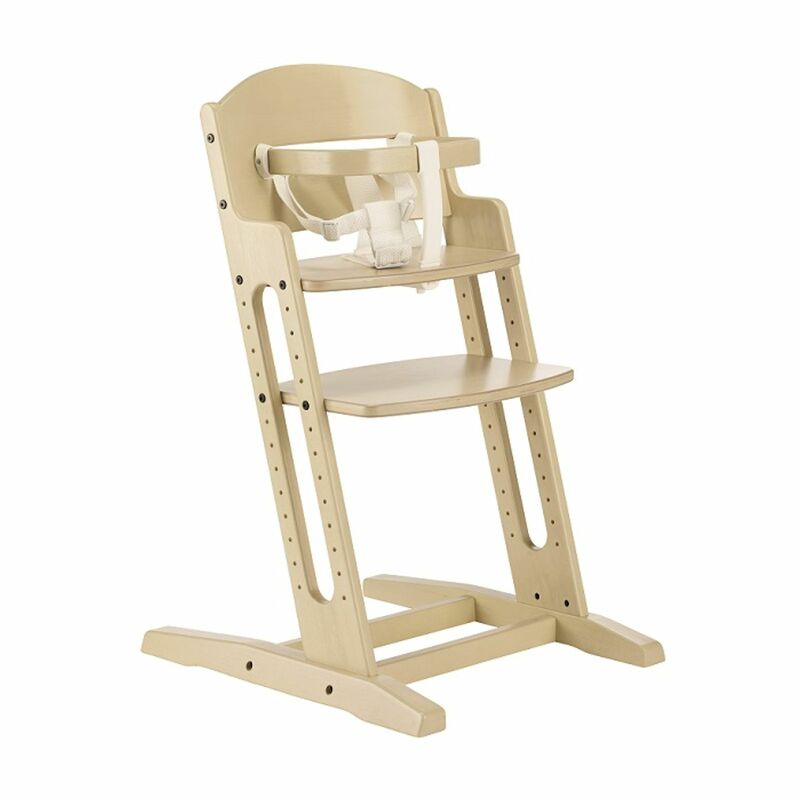 Now featuring a quick release brace, strap and harness this highchair offers a high level of safety to your child.The sloping design and multi-adjustable seat height means the highchair can be pushed right up to the table, allowing baby to be fully integrated with family mealtimes. With its smooth rounded edges the Danchair is also designed to adapt to the growth of your child, changing from a babies highchair to a child seat and then on to an adult stool. 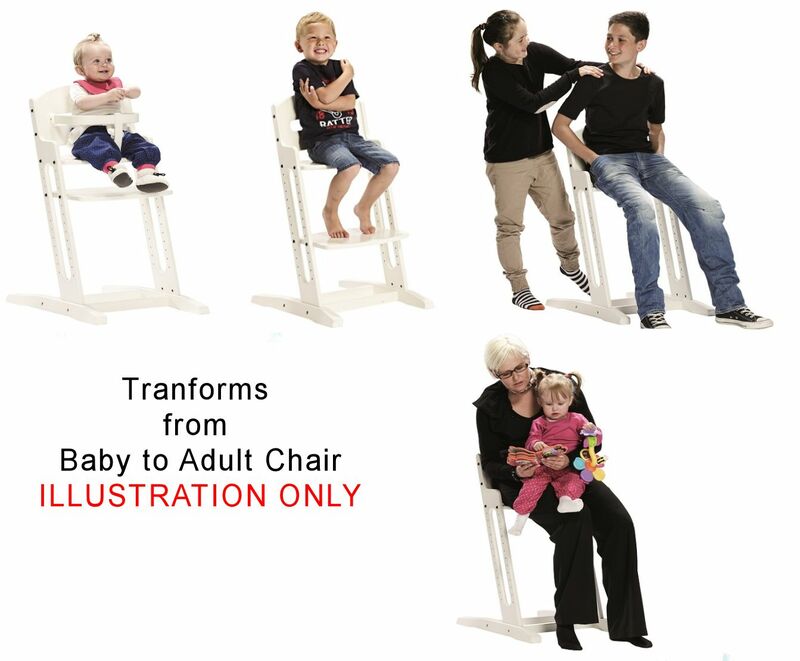 The unrivaled Danchair will undoubtedly be enjoyed by your family from one generation to the next. Seat, footrest and safety brace can be adjusted to suit your child. Quick delivery and item as described. Thank you.